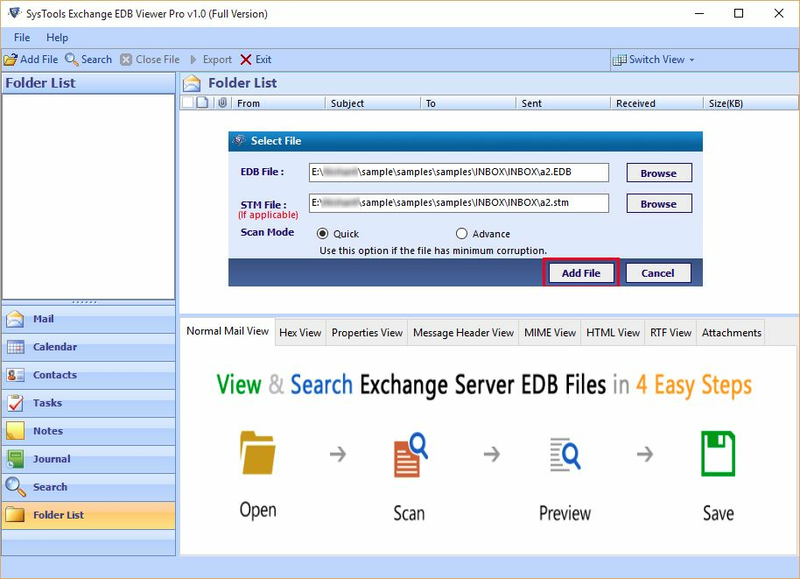 EDB File Reader tool can open and view multiple Exchange EDB files of multiple user's Mailboxes. 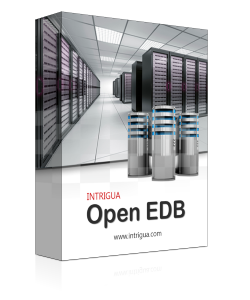 The Open EDB file application loads and scan all user mailboxes along with its data items. After successfully scanning the Exchange server files, the user can preview the file items like emails, contacts, calendar with attachments very easily. Freeware Windows based Exchange EDB Reader tool recovers and give view of all items of public edb files as well as private edb files after complete scanning of EDB files. This tool will view each items with its associated properties. Like in emails - To, Bcc, Cc, Subject, Sent, Received etc. As well for Contacts, the attributes like First name, last name, etc and in calendars - calendar subject, start date, end date etc. EDB file opener also facilitates the viewing of attachments of emails. EDB viewer by default scans the EDB file with Quick scan mode but by using this mode, tool can open the minor corrupted file. If the EDB file is severely corrupted then the tool provides you the option of Advance Scan mode also. By using this mode highly damaged EDB file can be viewed easily. There is no need to setup the Exchange server environment for using this EDB Reader freeware utility. 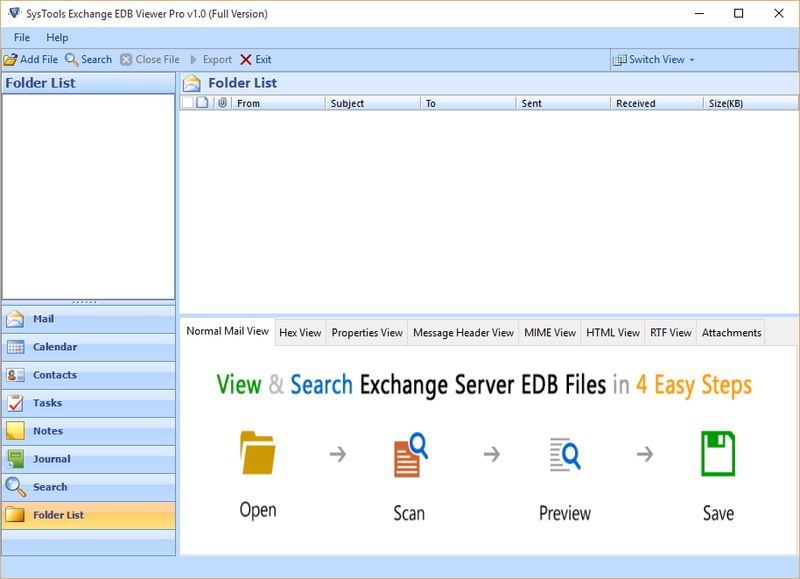 Exchange EDB Viewer can view the Multiple EDB files even in the absence of Exchange server installation in the system. This EDB file opener application has a user friendly interface that helps a non technical user or even a novice user to utilise the software without any expertise. EDB file called the Exchange Database File is the main storage of Exchange Server database. A single EDB file may contains multiple Mailboxes and each mailbox contains the entire data components like emails, contacts, calendars, notes, tasks and journals. Priv1.edb and Pub1.edb are the main EDB files used to store the information of Exchange server. EDB file cannot be opened and view manually. Corrupted EDB file cannot be viewed and read. Recovers the permanent deleted data. Step 1: Install EDB Reader Pro. Step 2: Browse and Add desired EDB file. Step 3: Preview of EDB data items. Step 4: Different Screen View Mode. 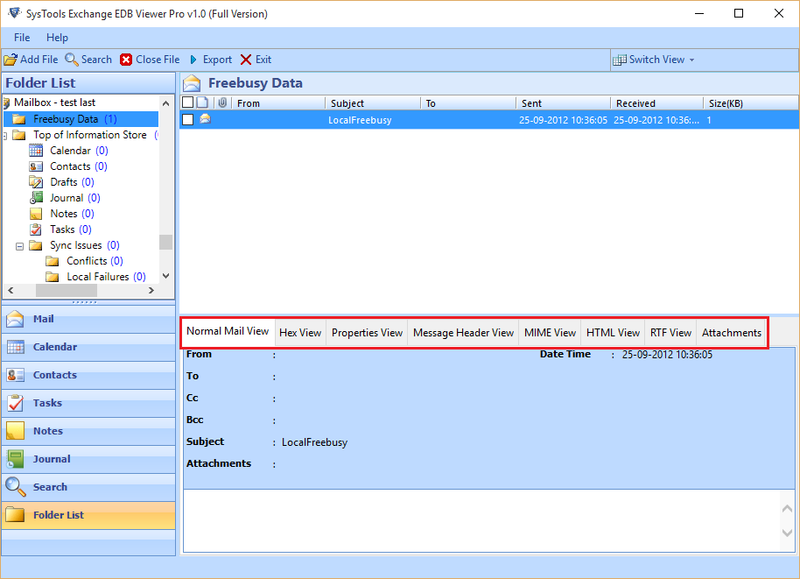 Watch the working of freeware EDB Reader tool to get preview of all emails. Is it possible to view EDB file without Exchange server setup? Yes, Exchange EDB viewer does not need any Exchange server environment. You can view and read the EDB file freely without any problem. Does this tool also opens the highly corrupted EDB file? Open EDB file tool has a option of Advance scan mode by selecting which it recovers and view the severely damaged EDB file. Can I save the scanned EDB file into my machine using this tool? Yes you can save the EDB file data into PDF format using the Pro edition of Exchange EDB Reader. 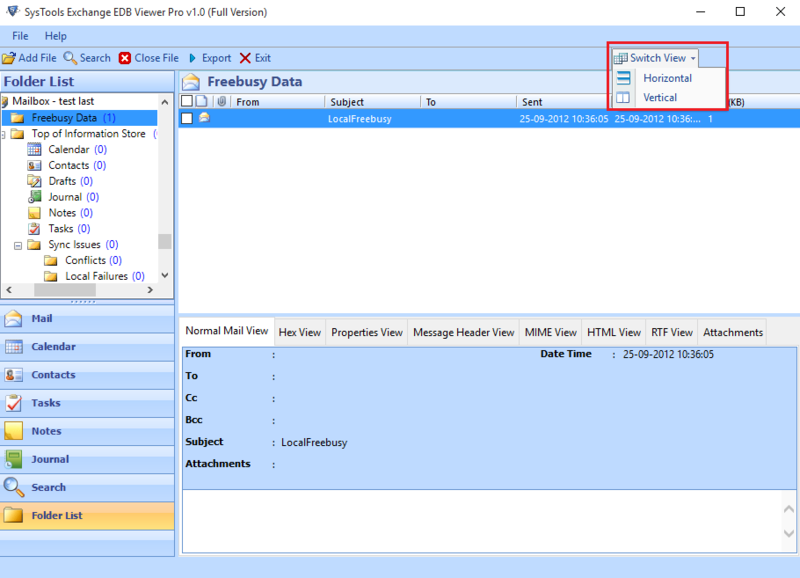 Is it possible to get preview of Emails attachment using freeware EDB viewer? Yes you can preview the attachments along with emails. EDB file opener opens the items retaining all its attributes like sent, received, To, From etc. Requires 1GHz processor (recommended 2.4 GHz). Minimum 50 MB of Hard Disk space is needed. 512 MB of RAM(1Gb recommended) is also required. Supports Windows 10, 8.1, 8 and its below versions. As we all know, the data of EDB file cannot be opened and read without Exchange Server Environment. In the situation when there is no Exchange Server, EDB file opener tool is very helpful which can easily open the file as well as recovers the permanent deleted data. EDB reader is a complete package to scan and read the unmounted EDB file. As well as you can read the file free of cost. Thanks to the development team of Open EDB file tool to put their efforts in this successful approach.